LISTEN UP! 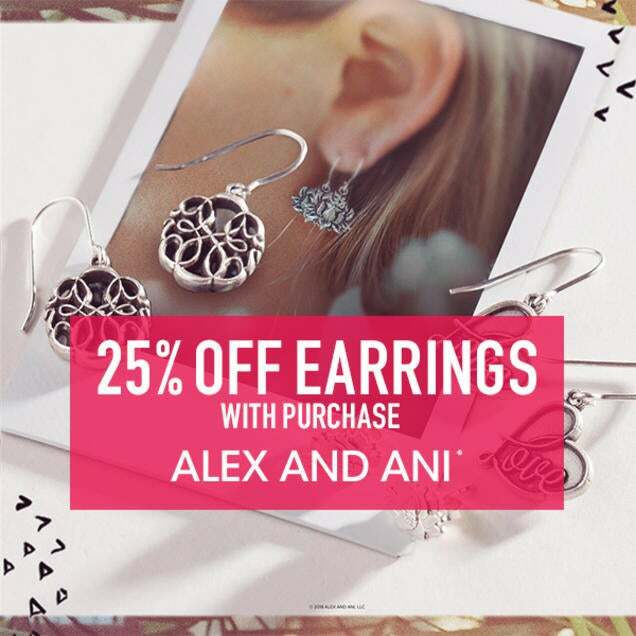 Dress your ears for less with 25% off one pair of earrings with any full-priced ALEX AND ANI jewelry purchase! Deal ends 5/28. See store for details.